Learn to Recite Qur’an and read Arabic text easily. Arabic is the language of the Qur’an and is also spoken across many Muslim countries. 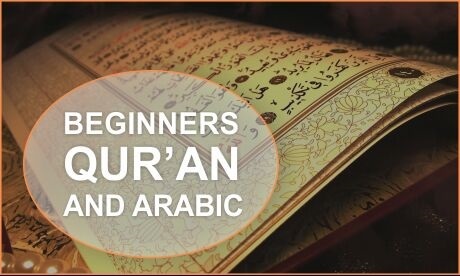 The Beginners Arabic and Tajweed course is for complete beginners who cannot read or understand even basic Arabic. This course will take students through the letters of the Arabic alphabet in their solitary and joints forms, vowels, words and sentences and learn the correct pronunciation of letters and vowel sounds. Subsequently students will build on initial recognition and pronunciation to the formation of words and groups of word and also develop some writing skills. Students will be taught with the recitation of the Qur’an as the main learning outcome and thus correct pronunciation and aspects of Tajweed will also be integrated into the course. The course is ideal for anyone who did not get the opportunity to learn Arabic when young, for new Muslims or for people who just want to re-learn their basic Arabic properly. Students will be provided with the Qaida Noornanniya and all materials for the course. Currently Firdaws Academy only provides classes for brothers. InshaAllah, arrangements are being made for females in the near future InshaAllah.